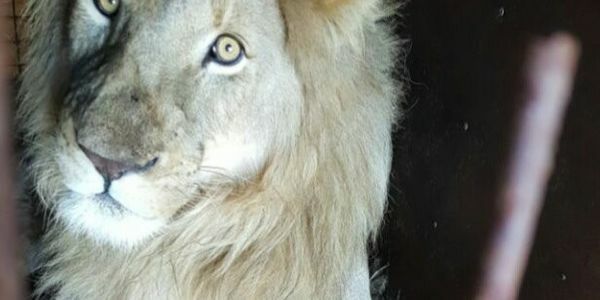 Help stop the breeding, farming and slaughtering of lions in South Africa for the sole purpose of bogus medicinal use in Southeast Asia. South Africa's Department of Environmental Affairs (DEA)- without public consultation - has almost doubled the 2017 lion bone export quota, from 800 skeletons (with or without the skull) to 1,500 for 2018. Problematically, South Africa says it based this decision on an interim study. But this study itself clearly admits that its findings are inconclusive and based on insufficient data. Not only does South Africa's decision have no scientific basis, but the Environmental Affairs department also lied about their decision to increase the quota. Mpho Tjiane, the Deputy Director CITES Policy Development & Implementation at the Department of Environmental Affairs and the person who runs the lion quota at the Department of Environmental Affairs, told two animal protection organizations, more than six weeks after the decision had been taken to almost double the quota, that the department had not yet set a quota for 2018. All calls to subject Tjiane to a disciplinary hearing have been ignored, as has the in-depth report on the lion bone trade by the EMS Foundation and Ban Animal Trading called The Extinction Business: South Africa's 'lion bone trade. The Extinction Business links most of the traders in lion bone to bogus addresses and extensive criminal networks in Southeast Asia. It also shows that exports of almost double the 2017 lion bone quota were shipped out of the country under the Department of Environmental Affairs watch. This clearly shows that they do not have the ability to control the trade in lion bones. The Department of Environmental Affairs does not have a national database of lion and other big cat breeders in South Africa, nor do they know the number of captive lions or other big cats. Their so-called DNA testing of bones does not prevent the illegal trade, because the system is riddled with problems. The DNA results are stored at the National Zoological Gardens, and in 2017 no DNA sampling was done at the airport before the bones are exported. The DNA does not show whether the bones are those of wild lions or of captive lions. The exporters are left to pack the bones AFTER the Department has done the DNA testing - there are no guarantees that tiger bones are not exported together with lion bones. The bones are also not packed and checked at source, but are brought together in warehouses for verification. This means that the origins of the lions is not known. South Africa also farms tigers and ligers. These animals can never be released in the wild, so the purpose of breeding them can only point to one purpose: tiger bone exports. Because tigers are exotic animals, South Africa does not concern itself with the numbers of tiger breeders, and no figures for captive tigers are available. It is also legal to hunt tigers in South Africa. The DEA is knowingly fuelling a cruel and illegal trade in big cat bones. SIGN THIS PETITION FOR an immediate ban. On Tuesday the 21st of August we will be in Parliament in Cape Town, South Africa, to discuss the captive lion bone quota. We will deliver this petition too. If you have not done it yet, please sign and share it widely. THANK YOU!